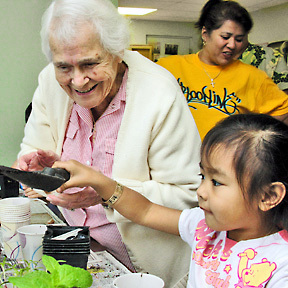 Connie Medeiros helps preschooler Shantel Palacpac pot a plant. Grace Lee, left, and Tina Samson are also participants in the gardening program at Seagull School in Kapolei. »How does your generation garden grow?